A commuter plane "basically dove" into a house while coming in for a landing, sparking a fiery explosion that killed all 48 people on board and one person on the ground, an emergency official said Friday. It was the first fatal crash of a commercial airliner in the U.S. in 2 1/2 years. Six hours after the crash, the task of retrieving remains had not yet begun. "It's still a hot scene," Clarence emergency control director Dave Bissonette said. "The fuselage lies right on the footprint of the house." 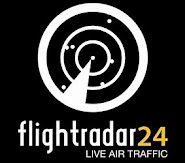 Prior to the crash, the voice of a female pilot on Continental Flight 3407 could be heard communicating with air traffic controllers, according to a recording of the Buffalo air traffic control's radio messages shortly before the crash captured by the Web site www.liveatc.net. Neither the controller nor the pilot showed any concerns that anything is out of the ordinary as the airplane is asked to fly at 2,300 feet. A minute later, the controller tries to contact the plane but hears no response. After a pause, he tries to contact the plane again. Eventually he tells an unidentified listener to contact authorities on the ground in the Clarence area. "You need to find if anything is on the ground," the controller says. "All I can tell you is the aircraft is over the marker (landing beacon), and we're not talking to them now." "We've been getting ice since 20 miles south of the airport," one says. The National Transportation Safety Board said it was sending a team of crash investigators to Buffalo early Friday. A spokeswoman for the Department of Homeland Security in Washington, said there was no indication terrorism was involved. "All indications are that this was an air-safety event," said spokeswoman Amy Kudwa. One person in the home was killed, and two others inside were able to escape with minor injuires. Twelve homes were evacuated near the crash site. The tail or part of a wing was visible through flames and thick smoke that engulfed the scene. Houston-based Continental Airlines issued a statement saying that preliminary information showed the plane carried 44 passengers and a crew of four. "Continental extends its deepest sympathy to the family members and loved ones of those involved in this accident," said Larry Kellner, chairman and CEO of Continental Airlines, in a later statement. "Our thoughts and prayers are with all of the family members and loved ones of those involved in the flight 3407 tragedy." "The fact that the damage is limited to the one residence is really amazing," said state police spokeswoman Rebecca Gibbons.